Having a new baby is one of the hardest things you will ever do in life. Having a newborn is stressful and exhausting. But it can be the most wonderful and magical times of your life as well! It is very easy to get overwhelmed with this new person in your life, and there are some effective strategies to help you cope. Will having a new baby be stressful? It is very normal to be feeling overwhelmed with your new baby. Coping with a newborn alone can be very stressful, especially when your partner returns to work. 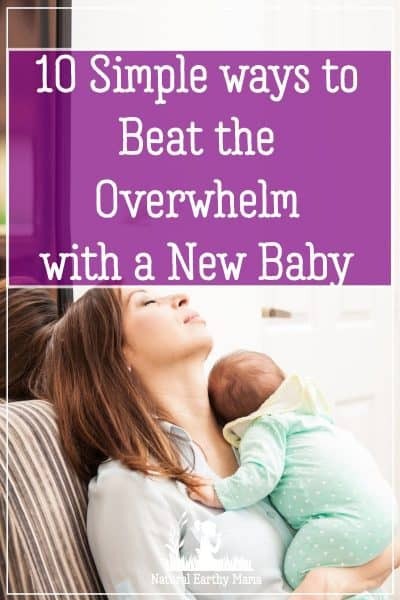 Part of life as a new mom is adjusting to this new baby, and this new mom stress can be very overwhelming, and in some cases debilitating. Not only has your body survived one of the biggest marathons it will ever complete, and it is still healing from this, but your newborn is adjusting to life on the outside of the womb as well. How you perceive these difficulties will determine how much stress you experience with your new baby. Learning how to juggle your old routines and fit them in with a baby that has no idea what a routine is, is tough. But there are many things that you can do to reduce your feelings of stress. Being organized and then letting go of the small stuff is definitely the best advice for a new mom learning to cope with a newborn baby. Once you are juggling more that one child’s routines as well as house hold chores, things step up to a whole ‘nother level. Is it normal to resent my baby? It can be very normal to feel some resentment to your new baby, and how much her arrival has disrupted your life. It is also common to resent your partner while they snore through the night feeds and get to leave the house during the day. There is a fine line between passing thoughts of inconvenience and resentment and thoughts of dislike, hatred, or wishing to harm your baby. If you find your mind wandering to that place, it is time to seriously talk to someone. It is entirely possible that you have post natal depression, which is not due to anything that you have done, but left untreated it can be truly horrible. If you feel like this might be you, please ask your health care professional for some help. How can I cope better with the stress of a newborn? Everybody copes differently with stress, and everyone perceives and experiences in different ways. What works wonderfully for you to help you cope with your newborn, may not help someone else at all. Think about what usually helps you when you are stressed, what do you like to do, or go, when life is stressful? Is there a way you can make that happen now? 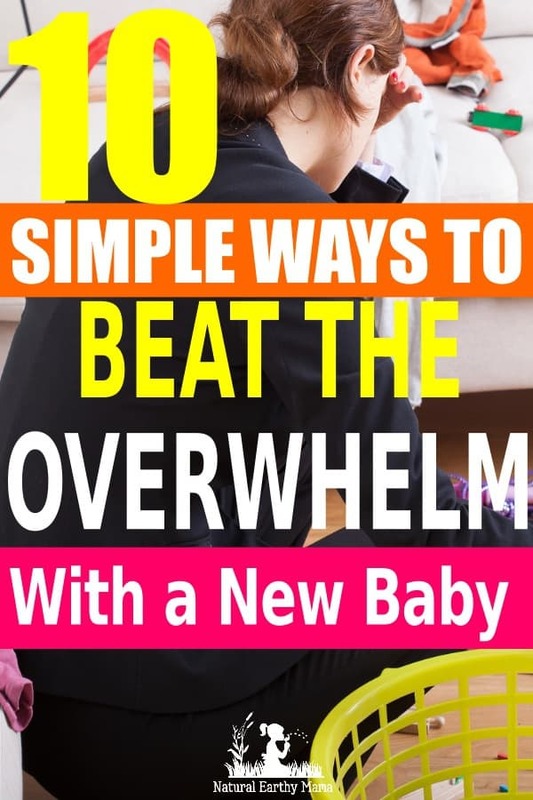 Below are ten great tips for avoiding and dealing with the feelings of being overwhelmed with a new baby in the house. Some are best done before baby arrives, and others you can do at any time. Visitors are lovely, and visiting a newborn is especially precious. But hosting visitors is also very invasive and draining, and it can become overwhelming and inconvenient. In the early days your priorities need to be getting enough sleep, spending time with your baby and older children, spending time together as a couple, working on nursing, healing, and getting some down time yourself. Did I mention getting enough sleep? And naps. Lots of naps. In the first month, try and only have close family and special friends to visit. Keep acquaintances and less close friends until later. If you haven’t seen a person in 6 months, waiting another month won’t hurt them. Print a sign off and hang it on the door when you want to nap, or simply want some alone time. Something as simple as “Mom and Baby Sleeping, please text to arrange a time to visit”. Turn your phone on to silent, and only answer the messages that you need or want to. If you have a home phone, set it to no rings and to go straight to answer machine. Check the messages when you feel like it, and don’t feel bad if it takes a couple of days to get around to doing so. You (believe it or not) are not superwoman. There is a physical limit to what you can achieve in a day. The sooner you realize this and ask for some help, the less stressful this time adapting to life with a newborn will be. People that come to visit, ask them to hang washing, or run the vacuum around (neither of which you should be doing for the first couple of weeks!). This is especially easy to ask of your mom, a sister or your BFF. If someone offers to take your older children for the afternoon so that you can rest, then say YES! And then make sure you take the time to rest. If asking family for help around the house is out of the question, consider getting a cleaner to come in once or twice a week to help keep on top of it for you. Ideally you will have stocked your freezer and cupboards with quick and easy meals before you baby arrives. If you missed this tip, there are some wonderful meal service options, or you can simply use a lot of quick dinner ideas. Soups make amazing meals, they are easy to throw a lot together, they freeze and reheat well, and when made with fresh vegetables, they are very nutritious! If you have a network of family or friends that offer you meals, say yes!! If you get too many to eat at once, freeze some for a later date. Steak and salad can take as little as 20 minutes to throw together, and if you make twice the batch of salad tonight, you can have some for lunch or dinner tomorrow. Cook large cuts of meat in your slow cooker /crock pot. This means that you can put it on in the morning when you have a moment, and it will be ready at dinner time. AND you should have enough leftovers for several days. Try and spend some time on a day when your partner or a support person can watch the baby to pre-prepare meals for the week. Mason jar salads are some of the best inventions ever! Throw them together on Sunday and they are still good to eat on Friday! Leaving the house pre-baby was all about you – clothes, hygeine, makeup, hair. Now it is about that AND a baby that poops as you are about to walk out the door, pukes down the back of your clean black top, and loves putting gross stuff in your hair. Basically, if you have clothes on, and baby is fed and dry, you can leave the house. Fluffing around until everything is perfect will leave you both a) exasperated and b) very late. Unless it is an important business meeting (well, even then…) yoga pants and a messy bun is perfectly legit mama clothing. Don’t try and get the place tidy before you leave, the longer you procrastinate, the more likely baby will need a feed/poop/full outfit change before you leave. Don’t expect to get to a place on time. If you do, bonus, but it is most likely that you won’t. And that is OK.
Keep your diaper bag stocked and ready to go, it is at least one thing that you can do ahead of time. I found that re-packing my diaper bag (and removing all the dirty diapers) just after returning home each time is a great way to make sure you can leave the house much faster next time. RELATED POST: How to pack your diaper bag right! 5 Link up with other mamas, find your village. It takes a village to raise a child. Sadly in modern life many of us don’t even know our neighbors names, let alone trust them enough to help parent our children. So it is up to you mama, to find your own village of other mama’s who know what you are going through, and can support you, offer ideas and listen when you need to vent. Ideally you would see these people at least once a week. It should be a supportive environment where you feel safe and supported. It might take a good few weeks of visiting before you feel like you could fit in, so give it some time. Your house does not have to kept to the same standard it once was. You do not have to be dressed up all the time, or even get dressed some days. A packet of noodles or drive through takeout is better than no food at all. Your daily gym attendance will have to be let go for a while. You have the bestest and most perfect excuse in the whole world to lower your high standards. It doesn’t have to be forever, but please give yourself some grace. Stop comparing yourself to the mama photos on social media, what they aren’t showing you is the actual disaster happening outside of the edge of the photo. You, my friend, are enough. You are doing fine. No body gets to the end of their life and wishes they had vacuumed more often. But they may miss those short fleeting newborn snuggles. Do what you can do, and let go of the rest. This is something that us mamas don’t do well. You should aim to do one thing for yourself each day. What you choose to do, is up to you. While baby naps, or while someone else can hold her, you go and do your thing. Whatever it is that feeds you, do that. For me it is anything with no one touching me, expecting anything from me or talking at or near me. For others it might be really engaging in conversation with someone special. I know when you are overwhelmed with tiredness and so much to do, the last thing you may feel like doing is going for a walk. But hear me out. Research has shown that just 30 minutes of exercise can decrees your stress hormones (1) and improve your mood (2). Newborns and routines should never be used in the same sentence. I don’t care what the book you read says, babies don’t read books, routines or clocks. New babies are just getting used to a life where they feel hot, cold, hungry, gassy and poopey. They don’t know what they want any more than you do, and they certainly don’t know when they want it. If a baby cries, feed it, if it is hungry it will drink, if it is tired it will fall asleep. Don’t worry about making a bad routine, or bad habits. New babies just want what they want when they want it. You are not spoiling them, you are being the best mama that you can be when you parent intuitively and follow their lead. When will my baby settle into a routine? Before 12 weeks of age, trying to impose a routine on a baby will just end in stress and sadness for all parties. Usually by 12 or 13 weeks most babies actually settle themselves in to a sort of routine, that they will continue to develop as they get older. There is little point in trying a routine before 12 weeks. After 12 weeks you cant try to set more structured nap and feed times, but you should understand that baby still cannot read the clock and some days will need more sleep than others, and likewise with volume and number of feeds. One of the best ways to reduce the stress and overwhelm of having a new baby is to remember to enjoy the small things. When you are woken for a millionth time at night, remember to snuggle them, adore their little faces and breathe their newborn smell in deeply. You may be in the trenches right now, but these fond memories that you make will get you through and help you remember these times with love. Take lots of photos. Write down the funny things that happen. Record it all. This time is fleeting, and you only get one shot at it. Spend lots of time skin to skin, snuggles in bed are a lovely time to do this. Spend a day or two in bed just being there. Napping when you want to. 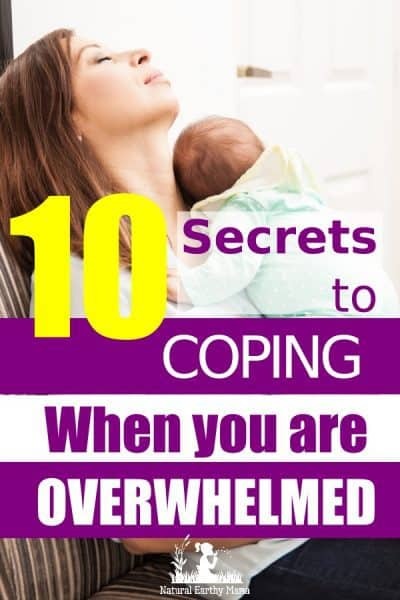 If you are really struggling to cope with your newborn, I implore you to talk to a professional or at least your partner, family member or your best friend. Anxiety and depression are close friends of exhaustion and overwhelm. Keep an eye out for them. Trust your instincts, no body knows you or your baby as well as you do. If something really isn’t right, talk to your doctor about it. We are programmed with everything we need to care for our newborn if we just trust both our own and our baby’s instincts and just relax and go with it.